Data isn’t just about the numbers – it’s about people. Here at iDashboards, we provide a fun and open environment that empowers our team, and our customers, to drive innovation. 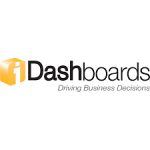 iDashboards’ engineers, account managers, and technical support collaborate with customers through community forums, monthly webinars, annual conferences, and one-on-one meetings in order to deliver the ultimate dashboard solution. 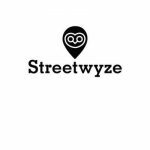 The Streetwyze app is the world’s first neighborhood navigator powered by local knowledge. 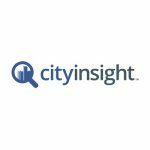 CityInsight provides real-time technology that helps municipal governments streamline their operations and improve communication with their customers. Our clients collect more revenue, have more satisfied customers, and promote smart consumer habits. Our CityInsight™ web and mobile app is a simple and powerful tool that lets residents track water usage in real time, pay utility bills with ease, and get mobile customer support. eCivis provides grant management solutions to state, local, and tribal governments across the nation, offering an innovative suite of applications addressing every stage of the grants life cycle, from pre-award to post-award, as well as integration with ERPs. For over 20 years, OnBase by Hyland has helped our more than 1,500 lifetime government customers by providing solutions for all aspects of government. OnBase, is one of the most flexible and comprehensive enterprise content management (ECM) solutions on the market today. OnBase empowers users to grow their solutions as needs change and government evolves. It is tailored for departments, but comprehensive for the enterprise, designed to give you what you need today and evolve with you over time. 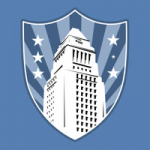 TownCloud is bringing a new generation of Enterprise software to local government All TownCloud apps are designed to make implementation fast and easy and to provide unprecedented capabilities for citizen participation and transparency. Best of all, TownCloud apps are subscription based so there is no capital investment required.